Expert panel: How do we get to higher quality, lower-cost health care? The old system of paying for health care may be broken, but is the future finally knocking on the door? And if so, what kinds of health care innovations will lead us forward to the promised land of lower costs and quality care? Those questions were at the heart of our recent Health Matters webinar, “The Health Care Revolution No One's Talking About: Changing How We Pay for Care,” on March 19. Our distinguished panel featured health economist Austin Frakt of The New York Times' The Upshot, Dr. Arnold Milstein of Stanford's School of Medicine, and senior correspondent Jordan Rau of Kaiser Health News. The three panelists discussed the Obama administration’s big announcement in late January that Medicare is changing how it reimburses providers. By 2018, Medicare aims to tie half of all payments to the quality or value of care provided rather than the quantity of services rendered. Critics often fault the existing fee-for-service system for rewarding doctors for performing more procedures, and the Department of Health and Human Services is eagerly embracing alternatives. The webinar’s wide-ranging conversation highlighted innovations that have the potential to deliver high quality care at lower prices. But listeners also heard about the ways that well-intentioned reforms could backfire. Speakers also provided useful tips on how journalists can write about these important but complex trends in ways that will draw in readers and listeners. So how do doctors and hospitals achieve higher quality care at lower costs? Dr. Milstein described an approach based on his pioneering work in search of what he calls “positive outliers” — primary care physician groups that deliver high quality care at lower costs even when the health care system provides incentives to spend more instead. Once such groups are identified in the data, researchers then visit and look for their common attributes, with the eventual goal of promoting such “best practices” throughout the wider health care industry. Common features of these “bright spots” included doctors who developed deeper relationships with patients and who “served as stewards for their patients’ best interests.” These providers also tended to invest in and hire unusually strong patient care teams, rather than, say, lavish buildings or office settings. “Our next step is to try to splice this DNA into average-performing primary care practices,” Milstein said. Milstein is optimistic that such innovative practices can be scaled up. But, he’s looking at outliers, as he’s quick to point out. Austin Frakt voiced an economist’s skepticism about the unintended consequences that can result when Medicare or other insurers make payment cuts. That concern about health care quality suffering as a result of payment cuts is “why we really need to focus on quality as we cut payments,” according to Frakt, noting the Affordable Care Act’s numerous incentives and nudges for hospitals to improve quality and value. Consolidation has been rampant in recent years, Frakt says, and that’s a concern, since studies have shown that consolidation tends to push prices up and rarely improves quality. Those rising prices in turn threaten the cost savings the ACA is otherwise trying to encourage. So how does a journalist cut through the wonkiness to tell compelling stories of how these trends intersect with human lives? The perils are real, explained veteran health care journalist Jordan Rau. “When you start writing about things such as Accountable Care Organizations and Patient-Centered Medical Homes, you can just snore people to death,” Rau said. That’s always a risk, but now that ACOs, bundled payment programs and other similar innovations have launched, it’s possible for journalists to write about these programs as living, breathing experiments rather than just theoretical abstractions. Rau says one of the most common approaches is to embed with a practice that is working under one of these new payment models. Telling the stories of doctors and patients can bring the material to life. And there’s plenty of online resources for journalists to start tracking down interesting experiments in their coverage area. 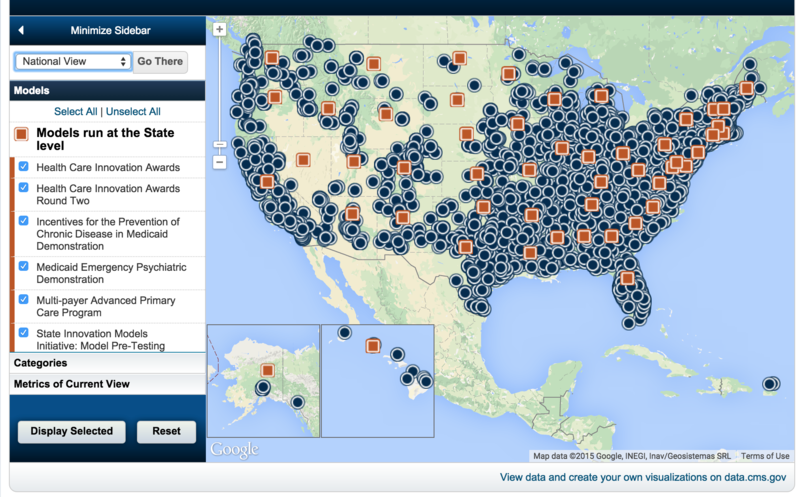 For example, Rau points to this online map and database put out by Medicare. Such resources can help journalists find institutions to focus on before delving into the human stories of patients navigating these systems. But another way to proceed, Rau suggested, is by looking at the emerging track records of the health care institutions themselves, now that Medicare is giving out bonuses and penalties for all kinds of performance measures. Rau pointed to a story he did for the St. Louis Post-Dispatch that looked at readmission fines for hospitals in the St. Louis region and beyond.